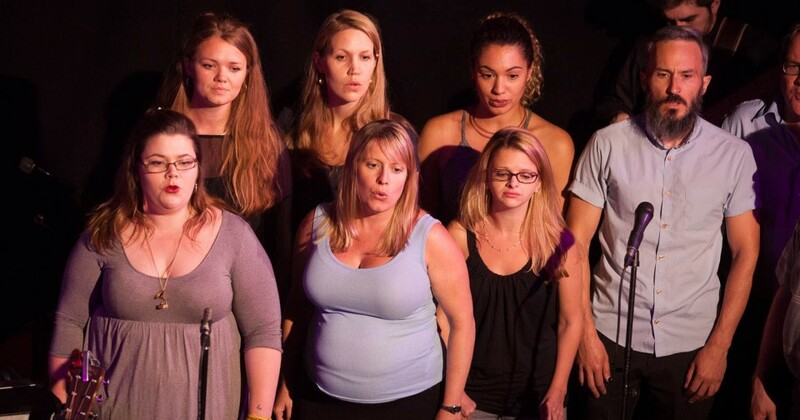 We’re joining forces with two spectacular groups for an eclectic evening of vocal music. Come see us perform! 7pm to 7.25pm, Saturday 19th March, The Foyer at the Southbank Centre in London. Phoene Cave, one of our star altos, explains how she first became involved with Singing for Breathing. Sterre Maier tells us about her involvement with the National Theatre’s production of As You Like It. Photographs from SOUND playing Bloomsbury Festival in October. Five minutes with… Jack Blume, Co-Creator and Musical Director, Gobsmacked! 2015 was an exciting chapter in our story so far… Yes, somehow the end of the year has come, and it’s been a big one for SOUND! Saturday 21st November at 7.30pm in at St Sepulchre-without-Newgate, Holborn Viaduct for our most diverse concert to date! On Saturday 14th November, we are performing at this year’s annual variety concert organised by the Moroccan Children’s Trust. Tickets available now!